This is the English translation of the original article published in Hebrew, in the Ma'ariv newspaper, one of Israel's oldest and largest daily publications. Note the repeated use of the term "according to foreign sources". This term is used to avoid violating Israeli Defense Ministry censorship regulations, which allows journalists to reveal highly sensitive material only if it legitimately comes from a credible foreign source that has been published. It might also be noted that Benjamin Blumberg is the recipient of Israel's highest defense-related award: The Israel Prize for Defense. It was given to Blumberg in a secret ceremony and has never been publicly revealed. That revelation was apparently removed from this article. Master spy, Benjamin ‘Vered’ Blumberg is the most secretive man in Israel. It is not surprising that few have heard his name. His life has been lived in the shadows, those places that no one should know about, and should certainly not know your name. Benjamin Blumberg is one of the most important security-related individuals in the history of the country, and apart from senior members of the security establishment, hardly anyone in the country would recognize his name. Yet suddenly now his name is known worldwide, and many romantic terms have been attached to it: "The Prince of Silence", "The Mysterious Agent", and the “Master-Spy ". All of this publicity does not come naturally for Blumberg who has kept his silence for decades. No interviews and no publicity for the man who stood at the very center of Israel’s espionage campaigns. That is until two weeks ago when the FBI released classified documents proving his relationship to Arnon Milchan, the famous Hollywood producer, who was exposed after purchasing sensitive items for Dimona and the nuclear weapons program. 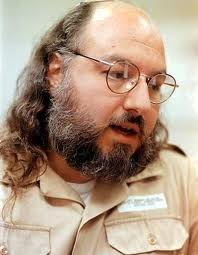 Milchan's operator in Israel, according to those documents, was none other than Benjamin Blumberg, who headed LAKAM (the Science Liaison Bureau), the most secret body in Israeli intelligence networks, which operated from the 1950’s until the mid-eighties. Blumberg, according to foreign sources, was the one who taught the future Hollywood producer, the art of setting up shell companies and secret bank accounts. Blumberg is not really amused by the rare publicity he is receiving. In recent years, he is concerned mostly about his economic problems and not about any grand intelligence operation. "It hurts me that for years I was more worried about the fate of our country than that of my own house," he says in an exclusive interview to Ma'ariv. Two weeks ago, when the American media mentioned his case, he was busy seeking a bank loan to finance an urgent operation. The bank refused. He took several loans in the past, and at his age, Blumberg is 88, the banks are not confident that he is in a position to pay them back. "I never thought about my personal gain, only for national security, today I regret it," he says. Passersby in Tel Aviv do not recognize Blumberg and have no idea who he is, a handsome man, slightly stooped; his hair had turned white long ago. Although Milchan once called him "the third most important person in Israel", Blumberg's picture has never been published, until now. Many Israelis owe him a great debt. According to foreign reports it was he, through his agents, who obtained the foundations of Israel’s most sophisticated defense systems. His LAKAM agents, and often he personally, gathered the equipment, technology and materials that provided Israel’s military industries with the technological breakthroughs that have made it one of the most advanced in the world today. 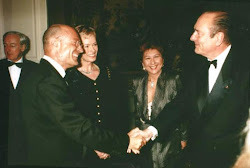 Arnon Milchan, it was claimed, was one of his favorite agents. 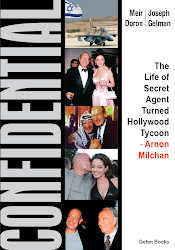 A recent book featuring Blumberg and Milchan, Confidential - The life of Secret Agent Turned Hollywood Tycoon Arnon Milchan, was written by Meir Doron and Joseph Gelman. 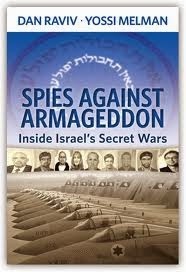 The book claims that the now Hollywood producer worked for LAKAM for years, and was one of its most important agents, securing mostly American technology for Israel's nuclear program, and that it was Blumberg and Shimon Peres who recruited Milchan. For years, the company "Milchan brothers" acquired, according to foreign reports, chemicals and various applications for the Dimona reactor. The Americans, of course, could not sell these products directly to Israel, because Israel had not signed the Nuclear Non-proliferation Treaty, so alternative methods of shipment were invented. They claim the products were transferred to front companies, and shipped through Germany or France to Israel. 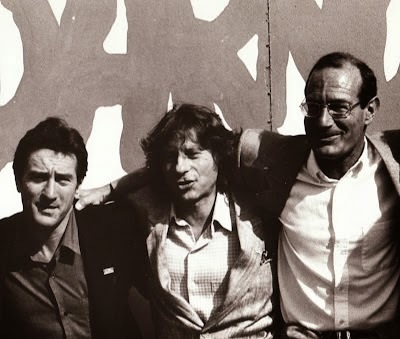 Also in the book Critical Mass by William Burroughs and Robert Weindram, Blumberg was noted to be involved in lucrative defense transactions in the United States and else ware, fronted by Hollywood producer Arnon Milchan. took the LAKAM Chief out for an uncomfortable night on the town. At the request of David Ben Ben Gurion, Blumberg had changed his name to ‘Vered’, but now he is recognized in the foreign media and Israeli documents simply as "Blumberg ". Blumberg says that he was never involved in buying sensitive products in America, but he says that to this day he fondly remembers Arnon Milchan. 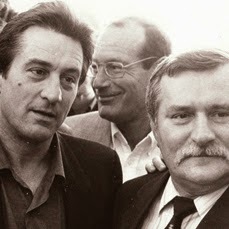 He cannot forget the evening he spent with director Roman Polanski at Milchan’s luxurious villa near Paris. Milchan suggested that they all go out for a night on the town at a cabaret. Polanski immediately agreed. Blumberg, the LAKAM Chief was hesitant. "I went with them but after half an hour I wanted to leave. Naked girls were dancing on stage, it's not my taste. 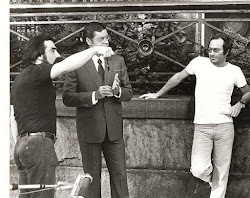 I asked Milchan to take me back to the hotel, but we could not move because Polanski was so enthusiastic he refused to go. So I had to spend half the night there watching that. It was horrible. " 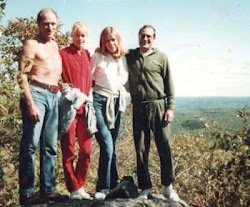 Blumberg spent many days, including one Yom Kippur at Milchan's villa in France. "I never saw such luxury, elegance, size." he recalls wistfully. But for some 20 years now, he has not exchanged a word with Milchan. "When I left the LAKAM he severed our relationship," explains Blumberg. In the mid 1960’s it was Shimon Peres who asked Blumberg to meet with Arnon Milchan. "Milchan's father had just died and he inherited a small fertilizer and pesticide company. Milchan’s mother called the company’s suppliers and told them not to work with her son because he was not as successful or experienced as his father. I met him [Milchan] and saw a bright young man”, recalled Blumberg. Blumberg was close to the leaders of the Jewish communities in South Africa, European millionaires and of course the heads of Israel’s security forces and Israeli politicians, many of whom called him a genius and considered him an extremely capable person who can achieve anything, anywhere in the world. One of the many stories in foreign publications tells how LAKAM agents secured the production plans of the French Super-Mirage, after France had declared an embargo on arms shipments to Israel. They bribed a Swiss engineer who worked at the factory that manufactured the Mirage engine. "When I was coming to Washington I would stay with Yitzhak and Leah Rabin at the ambassador’s residents. Rabin was always willing to help. I Happened I asked him to arrange a dinner and invite whoever he wants but to also invite a certain person that I needed to work with. He did it without asking a single question." Many plots are only memories now. Blumberg, married with two children, a daughter and a son who is a kibbutz member who is sick and needed emergency surgery. 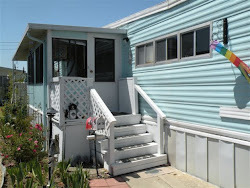 He lives on a pension from the Prime Minister’s office, is in debt to the tune of a few tens of thousands of dollars after helping relatives, and for several years cannot escape the economic troubles which have befallen him. At 88, he lives in a tiny apartment in Tel Aviv, on the third floor without an elevator. He only recently finished paying off the mortgage. The stairwell is neglected and most residents in the building are renters. Senior defense officials who lived in the building have long-since moved on to more luxurious homes, only Blumberg remains. Doctor's told him that he is forbidden from going down the three flights of stairs too frequently. He has not visited Jerusalem in years and he dreams of seeing the old city and the amphitheater on Mount Scopus. He hasn’t even been to the beach, not far from his house, in years. On good days he walks the streets of Tel Aviv alone, often going to The ‘Midina Square’, for a cup of coffee in the hope of meeting old acquaintances at random, "although most have already died," he says. Most of the day he is holed up in the bedroom of his tiny apartment. "For years I worked for the country," he says. "I had to think about myself and my family before the State of Israel and its security. While other people took care of themselves, built beautiful houses and saved money, I traveled the world and worried about the country. Today all those former colleagues live well, and I'm in debt". A few months ago he wrote a letter to his daughter and granddaughters and apologized to them for not taking care of his home. "I never thought of taking care of myself, I was mad, not normal, I worked only for the good of the country, that's why I have no savings, just debt," he explained. He wrote various committees that examined his medical condition: "From age 16 I have held positions in the defense establishment and took personal risks outside the country, and I neglected to take care of my family. I'm ashamed I have gotten myself into such a situation. I've put all of myself into the security of Israel, but I neglected myself and my home." Earlier this week, as noted, he applied for a loan from a bank to help pay for urgently-needed surgery. With an "HMO I have to wait months. A private doctor will do it much faster, but I have to pay several thousand dollars," says Blumberg. After a brief consultation, the branch manager decided not to extend the loan. He has already taken a loan and at his age, the manager is not sure he could pay the loan back. In recent years Blumberg has tried to get assistance from various sources, after everything that he contributed to the state, the state declined his request not pay taxes on his paycheck. "Cutting the 3,000 shekels a month in taxes would help me close the debt and start my life from scratch economically," he says. But Blumberg did not meet the criteria, and his request was denied. "When I left, the LAKAM offered me to become an arms dealer. I had many contacts all over the world, and I imagine I would've made a lot of money. I refused. I never liked this kind of pursuit of the money. Only one time in all the long years I worked in the defense establishment did I allow myself to take two days off. I spent a whole weekend relaxing. I've always just worked, I never thought about my personal gain. I took the flight, met with the one I needed to meet with and come back home. I was all over the world but did not see a thing, only offices and hotels." In recent months, late at night, he began writing a book in a thick notebook. He describes the operations that he participated in, the dangers which he was exposed to. Due to censorship laws, he is not allowed to document his memories on a computer. He doesn’t have one anyway. "I Keep everything in my head," he says, "I do not need a computer." He forgets certain dates and names of people but fluently recites the words of David Ben Gurion to President John F. Kennedy, in a meeting that Blumberg participated in. Blumberg was born in 1923 at Mikveh Israel. His maternal grandfather was a founder of the agricultural school, his father was the manager of the school. 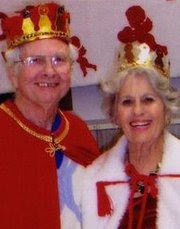 "That's one reason for my bad economic situation," he says, "My parents never left me a thing, when they passed away. 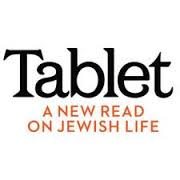 Even their apartment belonged to the agriculture school of Mikveh Israel." Security matters flowed in his blood from a very young age, he says. "I was already a squad leader in the Haganah at 14 years of age. 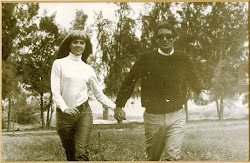 At 15 I left home and went to live with the family of Sheikh Zayed Giora. Zeid introduced me to the Druze in the region and thanks to them I learned to speak Arabic." In the War of Independence in 1948 he fought in the Tiberius region. After the war he returned to Zaid and he dreamed of becoming a farmer, but Isser Harel, former head of Shin Bet security service asked him to establish the security system within in the defense industries. "I recruited security officers and established procedures. It started off as a mess. It was not easy and I had to convince the military industry executives that they actually needed security. Tzvi Dar, director of the military industry, told me what the hell, let them steal”, he recalls. During his time in the Defense Ministry, Blumberg established a special relationship with, and worked very closely with Shimon Peres, who at the time was the Director-General of the Ministry of Defense. When he [Blumberg] ran into his financial difficulties, it was suggested that he contact President Peres for help, but Blumberg refused to reach out to his old colleague Peres on the matter. However, when President Obama declared that it was time to march towards a world free of nuclear weapons, Blumberg said he considered calling Peres to ask him to crack down on the more talkative ministers in the government who were reacting to that.. It was Shimon Peres who introduced Blumberg to the most closely guarded secret of the State of Israel in the late fifties – the plans to build the Dimona nuclear research complex. In '58, when they started to build the nuclear reactor, according to foreign reports, Blumberg was appointed the lead security officer of the reactor. To this day, in his little bedroom at home, is a painting of the Dimona reactor, a gift from an artist friend. The ship was carrying the flag of Liberia and was scheduled to reach the port of Genoa. The uranium on board was for a German chemical company acquired by the Belgian company Societe General de binary. The ship never reached Genoa. Journalistic investigations revealed that she had rendezvoused in the Mediterranean with an Israeli cargo ship, and her cargo is claimed to have made it to Israel instead. Until the early eighties, Bloomberg was a significant figure in the security established and was involved in most of the secret operations of that period. He told a close friend that for years he carried with him a cyanide capsule so they he could kill himself if he was every caught. 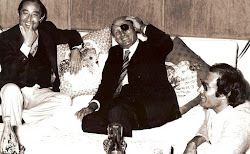 In The Unspoken Alliance, Sasha Polakow-Suransky writes that Blumberg was heavily involved in the security relationship that developed between Israel and South Africa during the 1970’s, which included nuclear cooperation. 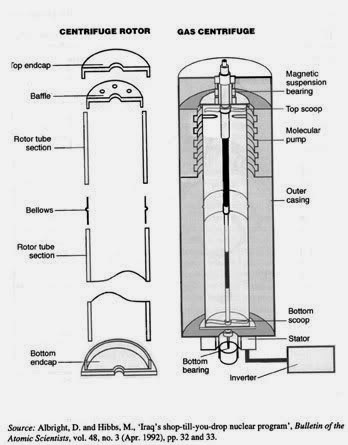 According Polakow-Suransky, Blumberg wanted to buy hundreds of tons of "yellow cake", a substance needed to begin the uranium enrichment process for nuclear reactors. Blumberg does not confirm his involvement but says he frequently visited South Africa and became friends with Jewish community leaders and even convinced one of them to immigrate to Israel. "I was not just hanging around. On my very first drive from Pretoria to Johannesburg I saw the way a white rancher beat a black worker with a whip. Later at the hotel I took an elevator that was separate from my luggage because I was not allowed to ride in the same elevator as a black person. It killed me. All that happened there disgusts me, but for the country I was ready to absorb anything,” he says. Despite his age and the fact that for many years now he is not part of the establishment, Blumberg sometimes participates in security discussions, mainly because of his long and deep experience in the nuclear field. "Sometimes, they send me a taxi with a driver who waits for me outside the building until the meeting ends." On the one hand they won’t increase my pension, even though I need the money to survive, and on the other hand, spend money on taxis for me. " He cannot always get to the hearings; "I am a member of another security committee which meets in Tel Aviv," he says, "but a taxi ride costs 25 shekels each way, it is too expensive for me, so I do not go to those discussions. The biggest mistake that Israel is doing is that we're talking about the Iranian nuclear program. This topic is not a topic that should be talked about, he warns. "I do not understand the hysteria over Iran's nuclear reactor, it’s small and harmless." In recent years he [Blumberg] is very lonely. His sister died many years ago. His brother, who also worked for the security establishment went blind and lives alone in Holon. "I would like to see him, but I have no way to reach him," says Blumberg. His bitterness stems not only from his economic situation and his loneliness, but by the way that he was let go after so many years of hard work for the country. 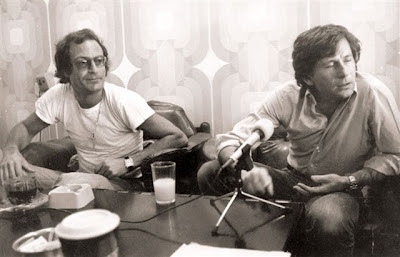 In 1977, when the Likud came to power, Deputy Defense Minister Mordechai Tzipori, asked the new Defense Minister, Ezer Weizman, to replace Blumberg with somebody that was identified with the Likud party. Blumberg took his case to newly elected Prime Minister Menachem Begin, and convinced Begin to put a stop to the efforts to fire him. But two years later, in 1981, Ariel Sharon was appointed Defense Minister. 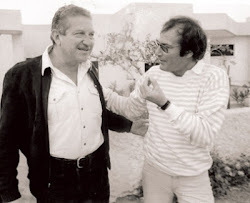 Sharon did not show the appreciation for Blumberg that Begin had showed, and replaced him with one of his cronies, Rafi Eitan. More than 20 years of security work ended abruptly, without even a chance to appeal. "I never even saw Sharon," says Blumberg. 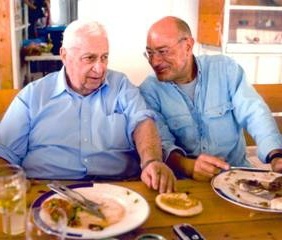 "I was driving north to Tel Aviv and on the way I heard on the radio that Sharon plans to replace three senior officials. I had a bad feeling. I stopped by and I called from the pay phone to someone who told me that Sharon had fired me. So that’s when I knew I was fired after 40 years of defense work." "On the one hand, I felt terrible; on the other hand, I felt relief, after so many years I wanted to rest". Blumberg was still relatively young and determined to work. He became Vice President of a small electronics factory in the town of Migdal Haemek. The Company used laser welding machines to manufacture metals and military electronics. "When I was looking for investors in the factory, I was offered a meeting with Nahum Manbar, before he was prosecuted. He agreed to invest a half million dollars in the factory, but I decided to give up on his investment. I always operated according to feelings about people and I usually was not mistaken. In 1998, he retired from the company, and since then passes his days in near total isolation and existential anxiety. In thin plastic bags and worn binders he keeps correspondence with banks the nation insurance company. He knows every document, and each line explaining his accounts. "I am hurt by the fact that I did so much for the country, and this is how I am treated." There is no single person at fault in this story; only a single person who contributed so much to the security of the state who now finds himself in difficult circumstances. Earlier this week, Amos Malka, former Military Intelligence Chief, and Giora Eiland, former head of the National Security Council, upon learning of this situation, said that they will try to help Blumberg. "I hope that they will succeed," Blumberg says. 'Blumberg' surely had a full life. Were he to pen a memoir he'd likely never again worry about money. It is quite astonishing that with all the Jewish wealth in Israel and indeed around the world no one steps forward as a benefactor. Just as astonishing was Blumberg's apparent recoil from the racism and apartheid he witnessed firsthand in South Africa, but at the same time spent his life working for a nation that practiced very similar (and in other ways more brutal) racism and apartheid against the Palestinian peoples who were dispossesed for Israel. 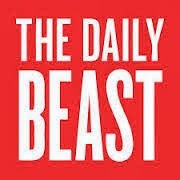 The two more significant items in this article are, (1) Bloomberg's assessment of Iran's nuclear threat - a miniscule or negligible one according to him - a view that comes from an honest straight-shooter with no agenda of his own, an evaluation that proves the hysteria produced and encouraged by the Netanyahu government to be simply a diversion from the real issue - Israel's refusal to let go of the West Bank. 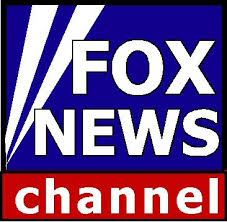 (2) The manner in which Bloomberg was fired, is representative of the disingenuous way Sharon handled himself both as minister of defense responsible for lying to prime minister Begin at the time, leading Israel into an unnecessary occupation of part of Lebanon, and Sharon's rule as prime minister in later years, and his downfall due to bribes in the millions of dollars taken by his sons for his election campaign. (responding to 'Confidential') - the 'apartheid charge, may be misplaced in the context in which it was mentioned by Ryan, but the response that the "apartheid charge is ridiculous slander", is not accurate. The term 'apartheid' though coined as a description of the politics of South Africa, is generally defined by two systems of law operating in one country separating two ethnic or national populations under one rule - under one government. And this is precisely the case in Israel, when we include the occupied territories. 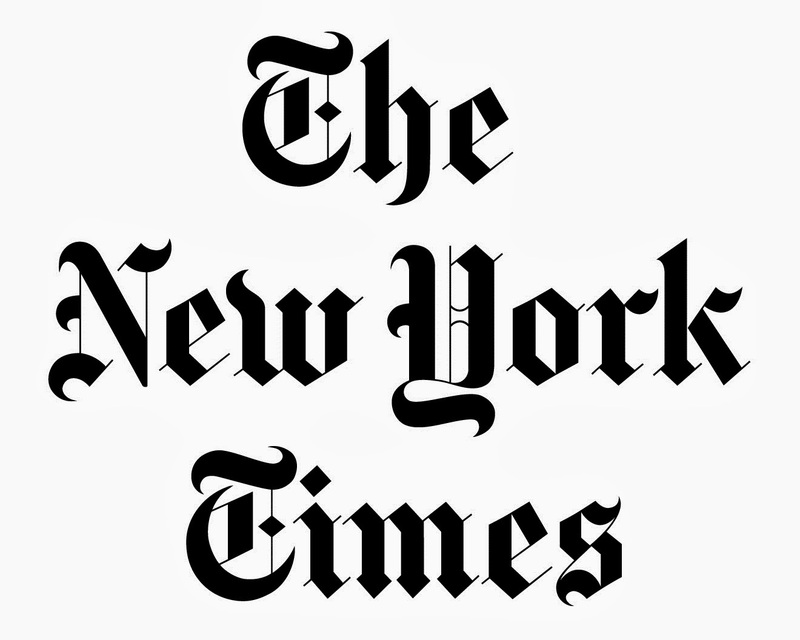 The problem is that when it comes to the mention of apartheid in various venues, Israelis tend to respond (as did Confidential) by addressing the rule of law within the 1967 sovereign borders of Israel, in an effort to show that Israeli arabs (who identify themselves as Palestinians for the most part) have equal civic and political rights, thus leaving the occupied territories with its vast population out of the scope of the discussion about apartheid. And it is the same people who would vehemently argue against the distinction made by the 1967 border, once the issue of the possibility of a peace agreement based on these borders is presented. So when accused of Apartheid, Israelis refer to political equality existing within the 67 borders, but when asked to terminate the occupation in the West Bank, the West Bank is all of a sudden an integral part of the larger state of israel (the land promised to our forefathers, etc.). And it is within this expanded (obese) Israel - the israel of 'biblical' proportions - that Apartheid with a capital A is alive and well. As for Blumberg's assessment of the Iranian nuclear threat, this is coming from a man in his late 80's who has been out of the loop since the mid 1980's. His opinion is his opinion, but context is important. It "proves" nothing. Certainly, I agree that the manor in which Blumberg was fired by Sharon was harsh and inappropriate. However, from Sharon's perspective, he certainly believed (and not without reason) that Blumberg was funneling money from commissions on Israeli arms procurements to the Labor Party from LAKAM, and Sharon wanted his own man in there... so he chose his friend Rafi Eitan. That's politics. As for the ridicules "apartheid" charge; Israel does not "occupy" Gaza, and the vast majority of Palestinians in the West Bank are ruled by Mohammed Abbas and the Palestinian Authority, not by Israel. As for Israel being "obese", anyone with the slightest knowledge of geography would know that Israel is one of the smallest countries on earth, while The Arab world occupies thousands and thousands of square miles and many recently invented countries. At the end of the day, it comes down to the failure of the Arab world to recognize the right of existence of the tiny State of Israel, the only national homeland for the Jews on Earth. Israel, a modern, technological and prosperous democratic state, stands in great contrast to the failed, miserable, despotic, states surrounding it.